InterNations Brasilia - Come Meet Us at RIO! 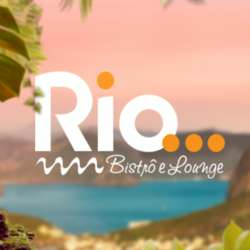 Come meet us at Rio Bistro & Gastro Bar for a night of fun, network and good food and drinks. The venue has a promotion on 2x1 Caipiroskas and special dinner menu (salad+main dish+desert) for those who want to have a proper meal. They also have a great selection of finger foods and drinks. InterNations members will have exclusive deals on 2x1 drinks. If you have any question let any of the Ambassadors know.